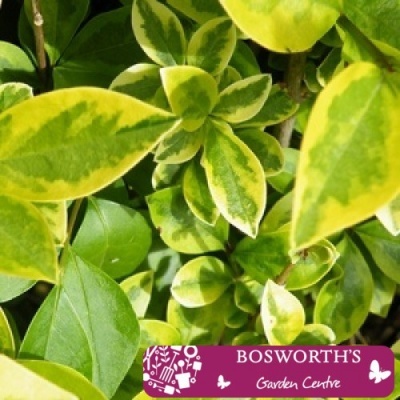 Bare Root Hedging - Variegated Privet (Single) - Similar in most aspects to the green variety, a semi-evergreen fast growing dense hedge. Producing clusters of fragrant creamy-white flowers in summer that attract butterflies & birds. The leaves are bright green with yellow margins & some are completely yellow. Privet hedges are generally evergreen but may lose their leaves in extreme winter conditions. Tolerant of shade & poor soil & will do well by the coast and in windy exposed site. Easily maintained by annually trimming twice during the summer to encourage denser growth. Ideal for producing hedges 3ft & upward. Less vigorous than green privet.